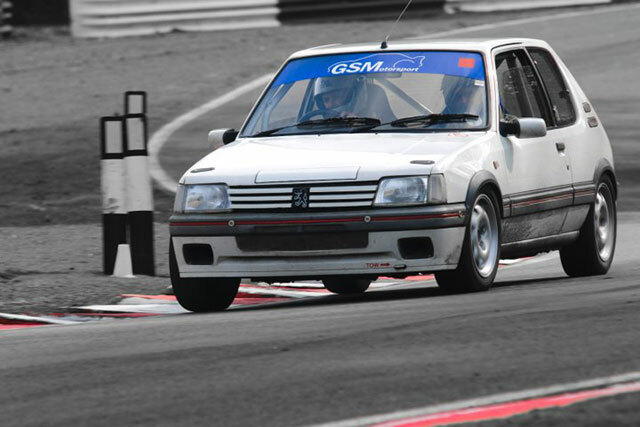 A gradual development over a number of years between my good mate Phil and I has resulted in our Mi16 powered trackday car, affectionately known as the “MOP” Mouldy Old Peugeot. 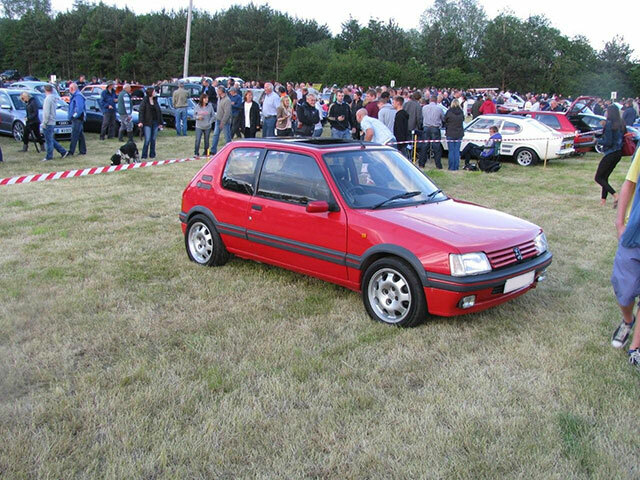 Far from original concours condition, but we really do love the 205 GTI in all forms. This is the car that started me off with the reproduction parts. Whilst carrying out a light restoration in 2008 I discovered that certain parts were marked as “NFP” in the Peugeot parts system, indicating No Further Production. Undeterred I decided that I could make a reproduction of the front bumper spacer myself using my lathe and TIG welder, and so the front bumper spacers came about. Since then I have made various other items, which you can see in the “Products” section of the site. 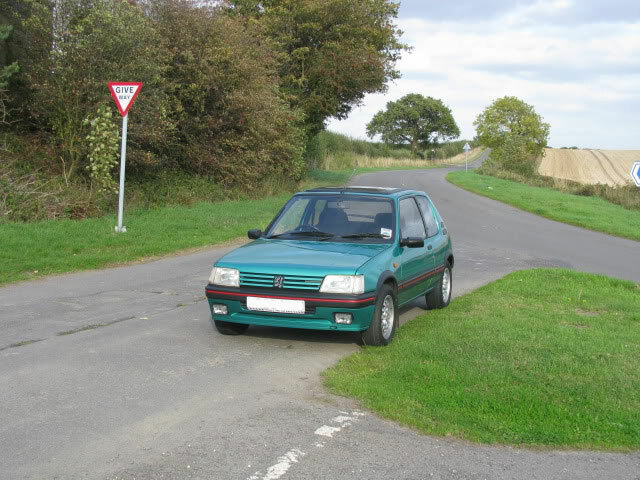 My laser green car was purchased locally from a 79 yr old gentleman in 2011, he had purchased it from the local main dealer in 1999 as a retirement present to himself. Having lead an easy life, it was in good overall condition having travelled only 63k miles. Researching the history, I discovered that I also personally knew the lady who had owned the car from 1991 when it was a 40th birthday present to herself until 1999 when she traded it in at the local dealer against a brand new 206 GT. In remarkable original condition I am restoring the car to totally original condition and specification. This is also driving the development of more reproduction parts as I discover parts I can no longer purchase.